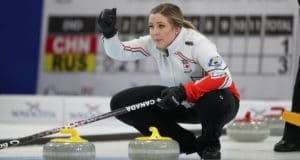 Selena Sturmay and her Edmonton-based foursome continue to build momentum after handing Switzerland’s Raphaela Keiser her first loss of the round robin on Wednesday afternoon at the 2019 World Junior Curling Championships in Liverpool, N.S. After starting the day with a lopsided 9-3 loss to Sweden, Selena Sturmay found her stride against South Korea’s Minji Kim, posting an 8-3 win in Draw 10 of the 2019 World Junior Curling Championships in Liverpool, N.S. 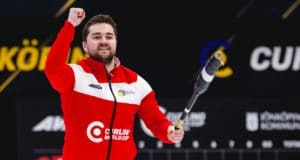 Canada’s Tyler Tardi needed only six ends to shut down Italy’s Luca Rizzolli 10-3 and capture his third win at the 2019 World Junior Curling Championships on Tuesday afternoon in Liverpool, N.S. 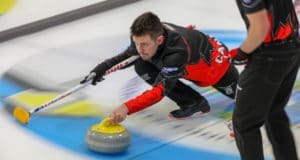 It was a battle of last year’s finalists as Canada’s Tyler Tardi and Scotland’s Ross Whyte faced off on Monday night in Liverpool, N.S., but this time it was Scotland who came out on top, taking an 8-7 extra-end decision in the men’s round robin at the 2019 World Junior Curling Championships. 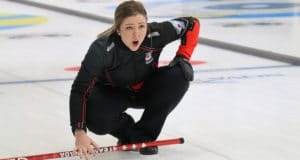 Selena Sturmay and her Edmonton-based team got off to a quick start, then needed to pull out all the stops to pick up their second win of the 2019 World Junior Curling Championships, a 9-6 victory over Japan’s Ami Enami on Monday afternoon in Liverpool, N.S. Selena Sturmay is back in the win column after posting a 7-6 victory over USA’s Cait Flannery on Sunday night at the 2019 World Junior Curling Championships, in Liverpool, N.S. 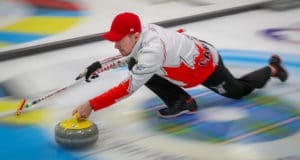 Team Canada’s Tyler Tardi rebounded from an opening-day loss with a 6-4 win over Norway’s Magnus Ramsfjell on Sunday at the 2019 World Junior Curling Championships, in Liverpool, N.S. 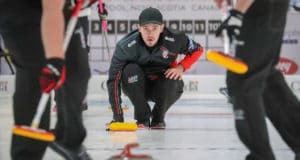 Tyler Tardi and his Canadian junior champions from British Columbia faced a tough first game against USA’s Andrew Stopera on Saturday night, losing 7-8 in an extra end on the opening night of the 2019 World Junior Curling Championships, taking place at Queen’s Place Emera Centre in Liverpool, N.S. 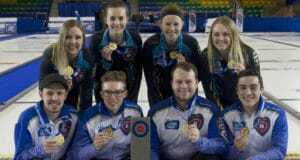 Canada’s men’s and women’s junior champions will be trying to reclaim gold when the action gets underway on Saturday at the Queen’s Place Emera Centre in Liverpool, N.S., for the 2019 World Junior Curling Championships. Sunday was a good day for Canadian curlers at the third leg of the Curling World Cup in Jönköping, Sweden, as mixed doubles duo Kadriana Sahaidak and Colton Lott and the Regina foursome of Matt Dunstone, Braeden Moskowy, Catlin Schneider and Dustin Kidby – all coached by Scott Pfeifer – won gold medals and a ticket to the Grand Final in Beijing. 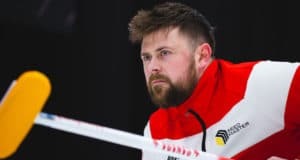 Matt Dunstone’s Regina foursome and Kadriana Sahaidak and Colton Lott from Winnipeg Beach, Man., are through to the gold-medal games at the Curling World Cup in Jönköping, Sweden. 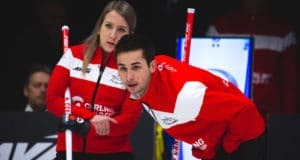 Canada’s young mixed doubles team of Kadriana Sahaidak and Colton Lott from Winnipeg Beach, Man., still have a shot at reaching the championship final of the third leg of the Curling World Cup in Jönköping, Sweden. Matt Dunstone’s Regina team couldn’t have asked for a better start to its first trip to a Curling World Cup. (Courtesy, USPORTS) TORONTO (U SPORTS) – Alberta Pandas curling alumna Danielle Schmiemann has been named Canada’s flag bearer for the 2019 FISU Winter Universiade. 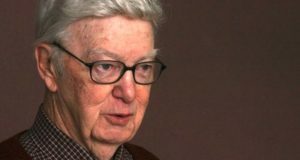 By Dave Komosky For more than 60 years, some of the biggest moments in curling were often accompanied by the iconic broadcasting voice of Robert (Bob) Picken.